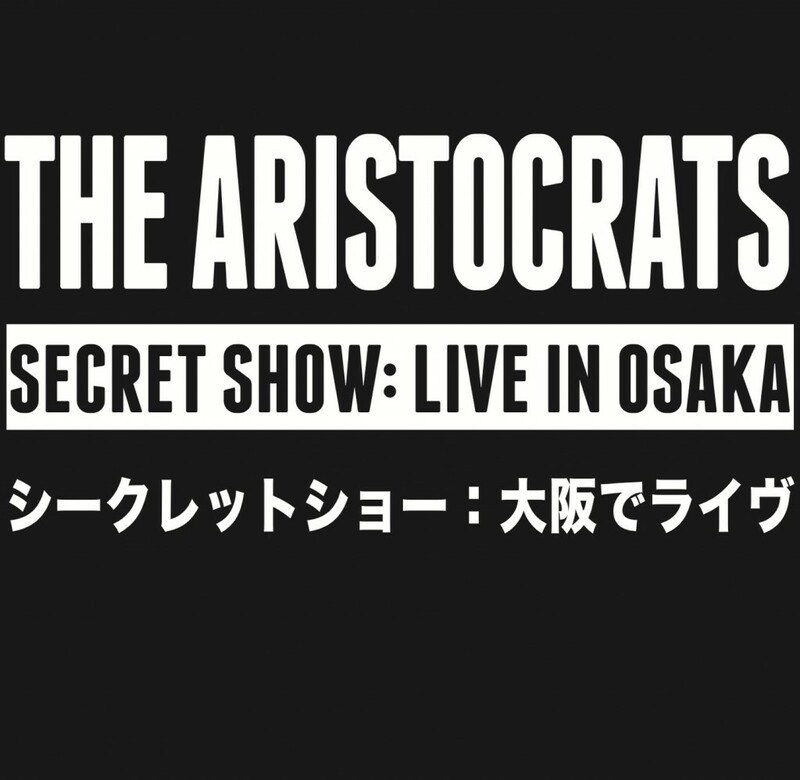 The Aristocrats’ “Culture Clash Live” and “Secret Show: Live In Osaka” Now Available For Pre-Order! SURPRISE! 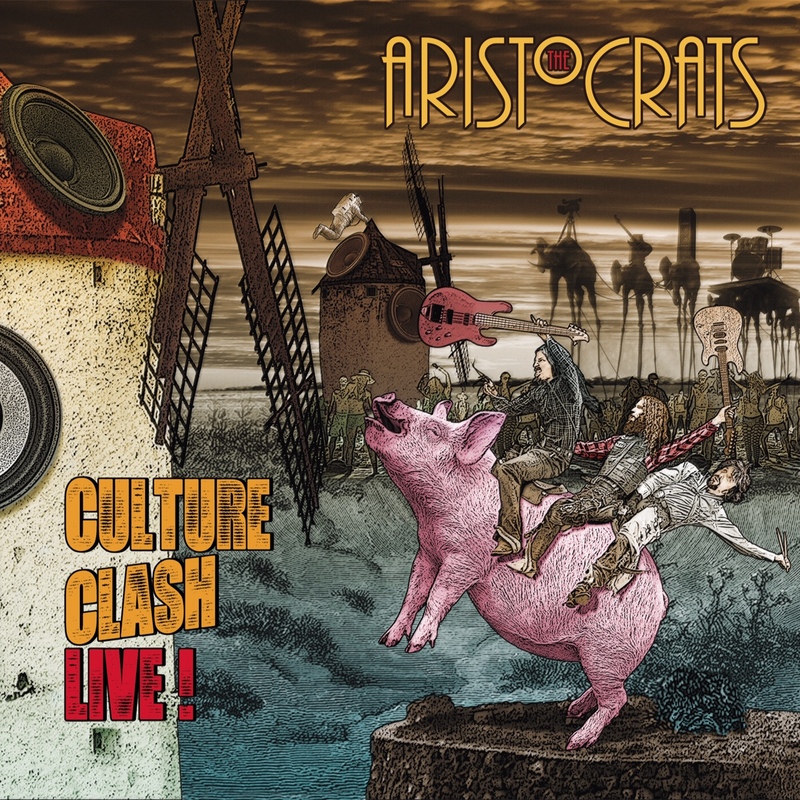 We (and by we, I mean The Aristocrats) are launching the pre-sale of our new live CD/DVD “Culture Clash Live”, as well as our limited-edition “official bootleg” double-CD “Secret Show: Live In Osaka”, plus an exclusive new “Culture Clash Live” t-shirt, right freakin’ now! Already convinced? Then just click here to pre-order from our webstore. Release date is January 20, just a month away. * “Culture Clash Live” is a sprawling, professionally-recorded CD/DVD two-disc compilation taken from 6 shows in 5 countries on 3 continents. * “Secret Show: Live In Osaka” is a 2CD limited-release that serves as the tour’s “official bootleg”. It’s only available directly from us – and the first 1,000 ordered from our webstore will come signed by the band. 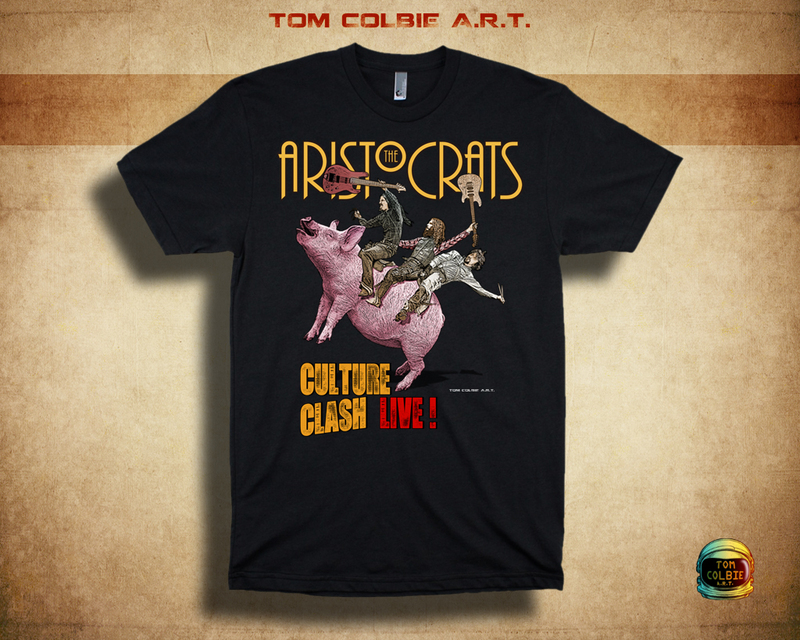 * The official “Culture Clash Live” t-shirt is a brand new design by “Culture Clash” artist Tom Colbie, and again, only available directly from us. * Full disclosure: The “Culture Clash Live” DVD will also be available digitally through a new service called Littlecast. For a small fee (probably $12.95) you’ll have unlimited hi-res streaming capability on your laptop or desktop, and you can download it to your mobile device (iPhone, iPad, Android). It will contain the concert footage only, no bonus features. It also requires you to be signed in to Facebook, so just a heads up there. We’re still working that up, and we’ll have it ready by January 20. But we may test the new system by releasing our existing live DVD “Boing, We’ll Do It Live!” well before then. I do hope you’ll check out the preview video, and then click to your heart’s desire. And now I’m taking the rest of the year off. I can’t believe it – after nearly 18 straight months of Aristocrats and Joe Satriani touring I’m finally HOME. And when I say home, I mean at least four months in a row with only short trips in the U.S. here and there. It’s been about 7 years since the last time that happened. Australia and New Zealand (and Asia and Europe and South America and North America!) were all wonderful, AND I’m so glad to be back. …but I wanted to at least personalize this by saying THANK YOU to everyone who made the incredible last 18 months of my life possible. I’m grateful beyond words. I’m now resting and recovering in my new home in the mountains north of Los Angeles, and I thought I’d share the view and wish everybody a healthy, happy and peaceful holiday season as we round into mid-December. And now, without further adieu, I present, The Big Aristocratic News. We know you waited a long time for this, and we’re proud to finally have it done and nearly ready for you to check out. Preview videos will come soon. In the meantime, read and enjoy.